If you are looking for an affordable get-away home with water views, large living space, beach and an island community, look no further. 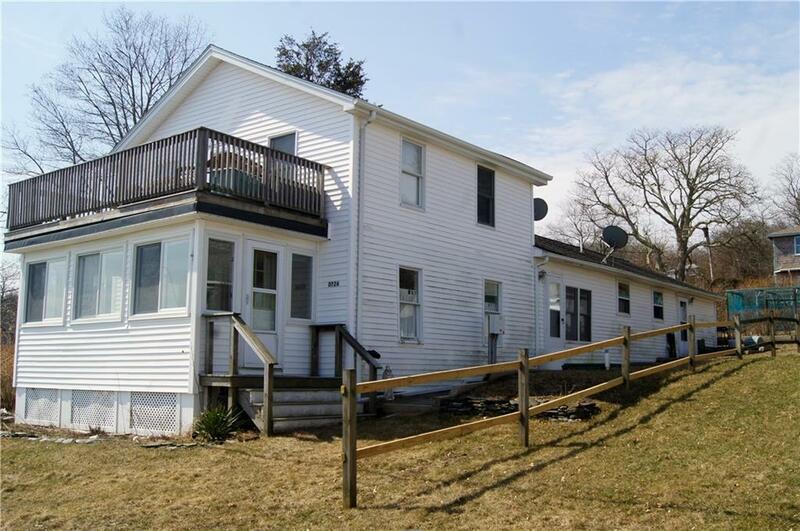 This Prudence Island home has 5 bedrooms, bright large kitchen, open family room with attached three season room, laundry room and a garage! The home has water view of Narragansett Bay and the beach is directly across the street! The second floor deck allows you to watch the boats, sunrises and the moon-rises over the Mt. Hope Bridge. It's walking distance to the ferry. The home also has heat and a propane stove so you can enjoy the home all year round. The home also comes with a mooring directly in front of the house and has great historical features such as stained glass & wide plank wood floors. This is a must see!